Petition calling on the government to make urgent changes to building and planning regulations to ensure that Changing Places are provided in all large public buildings as they are built, redeveloped or refurbished. Disability rights campaigner Lorna Fillingham, alongside Paralympian Anne Wafula Strike, will deliver the petition this month in Parliament aiming to make changing places toilets compulsory in all public buildings. The Changing Places Consortium launched its campaign in 2006 on behalf of the over 1/4 of a million people who cannot use standard accessible toilets. 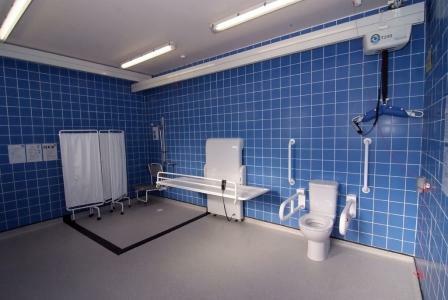 To use the toilet in safety and comfort, many people need to be able to access a Changing Places facility, which have more space and the right equipment, including a height adjustable changing bench and a hoist, and enough space for careers. Standard accessible toilets (or “disabled toilets”) do not provide changing benches or hoists and most are often too small to accommodate more than one person. Without Changing Places toilets, the person with disabilities is put at risk, and families are forced to risk their own health and safety by changing their loved one on a toilet floor. Lorna’s daughter is 7 and has global development delay and is a wheelchair user. Providing Changing Places toilets make a dramatic difference to the lives of thousands of people. PreviousLove me, love my wheels?